“UjaasTM”, in local language stands for – “Light at the Dawn”. 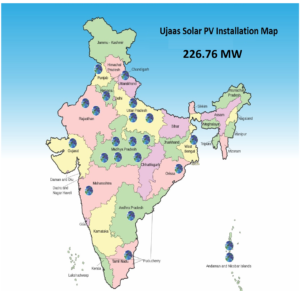 The Solar Energy sector in India is on the rise. According to Statistics, the Solar Power will soon become one of the biggest contributors to India’s huge appetite for power. Solar Power will help in meeting the ever increasing power demands of our shining nation. Ujaas Energy Limited (listed on BSE and NSE) is an ISO 9001:2008 & ISO 14001:2004 certified Company. Our Company is the first company to generate & sell Solar REC in the country from its solar power plant of 2 MW commissioned in March 2012 at Rajgarh (Madhya Pradesh). We have been working in the field of engineering from more than three decades. We started our journey in 1979 at the business capital of Madhya Pradesh- Indore under the proprietorship. The company during its initial years was involved in manufacturing of transformers and panel meters for energy controlling. 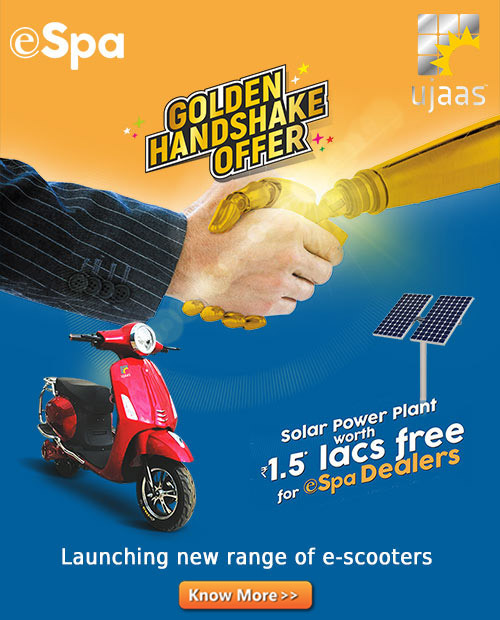 At present, besides the transformer industry, Ujaas Energy Limited is putting its sincere efforts in contributing towards green energy. We have introduced various new products and solutions for producing clean energy. The company aims to become the pioneer in “Generation of Green Energy”.